The excitement and the entertainment of SL14B has come and gone – but the regions still there for a while, and there’s still a fair amount to see, if you haven’t taken the time to do so before now. What’s more the regions are all now a lot quieter, offering more chances to see things, enjoy the rides and take photos. This being the case, I thought I would, as with previous years, share a handful of the exhibits I enjoyed just in case they appeal to you as well. I’ve already covered some of the art exhibits I particularly enjoyed in the regions in The Art of SL14B, so consider this a companion article to that piece 🙂 . Regular readers of this blog can perhaps guess one of the reasons I’m selecting this exhibit – my love of space exploration (and a tenuous “personal” connection to the Cassini mission). But there are other reasons as well. One is the use of connections between the Cassini mission, the SL14B theme and the sailing. NASA’s Cassini probe has been revealing the secrets of Saturn and his moons to us for the last thirteen years, in a mission which goes back two decades to its launch – and then a further 15 years prior to that. So now, as the mission draws towards its final conclusion in September 2017, is the time to celebrate all that it has revealed to us. At the same time, Cassini ventured forth into the great ocean of space just as mariners her on Earth have put to sea under sail, navigating its way via Venus, Earth and Jupiter to reach its eventual destination. With links to NASA’s video and website on the Cassini mission’s Grand Finale, as well as to information on Leeward Cruising Club, this is a clean, elegant display – and one where you can catch a ride on Cassini itself. And that’s another reason to visit – Diamond’s recreation of the Cassini spacecraft is simply stunning in its level of detail. You can also learn more about the Cassini mission in my Space Sunday series, which features regular updates on the mission, including an overview of the Grand Finale, and the first pass between the planet and its rings. Second Life offers many means to travel – teleport, walking, running, driving, boating flying. One of the most fascinating ways to travel the Mainland is via the network of railway lines which cross-cross the lands. The Virtual Railway Consortium do much to promote and support this infrastructure, and Qie’s display at SL14B is a celebration of their work, presenting visitors with and opportunity to visit VRC locations across the mainland continents, visit their website and discover more about rail travel in SL. Bay City is one of the most active Mainland communities in Second Life, with Bay City itself a vibrant place to visit, with lots to see and do. Marianne McCann is one of the leading lights of the community and works tirelessly to promote it, and in bringing people together to host events from the Bay City anniversary parties through the Christmas and New Year events to the annual Mole Day – a festival focused on the Moles of the Linden Department of Public Works (LDPW). At SL14B, the Bay City exhibition invariably offers a rich insight into the community, its events and its members, and this year is no exception. Located in a design that encapsulates the community’s 1940s through 1960s theme, it’s a definite stop on any tour of SL14B. Step inside to discover more! Occupying an original build by Shayla, the Venetian Masks Gallery is not alone at SL14B in celebrating the use of the mask at festivals and celebrations, but it is an informative look at the role of masks in Venetian carnivals. Inside, it encapsulates the importance of the mask, and offers some intricate examples used at carnivals and festivities, from harlequin style half masks through to intricate, full-face items. It’s another simple, elegant display set within a gorgeous design of the building which draws inspiration from the architecture of Venice. The exhibit is doubly fitting for SL14B: not only does it celebrate the use of masks in carnivals, it also reminds us that within Second Life, we have the mask of our avatar to offer us the freedom to express ourselves and our desires and creativity free from the demands of the physical world, allowing our imaginations to take flight as they will; unfettered and – often times – in full career! Tuesday, June 20th saw Landon Linden sit down with Saffia Widdershins, and this article hopefully presents some “selected highlights” of the chat, complete with audio extracts from my recording of the event. The official video of the event is embedded at the end of this article. Oz Linden is the Technical Director for Second Life. He joined the company in 2010 specifically to take on the role of managing the open-source aspects of the Second Life viewer and managing the relationship with third-party viewers – in his previous role, he had been responsible for leading the company his was working for in taking their product from closed-source to open-source and then managing the technical side of the product as a open-source project for a number of years. Over the first two years of his time at the Lab, he was primarily focused on the open-source viewer work and in refining the overall viewer maintenance process, before his role started expanding to encompass more and more of the engineering side of Second Life. When Work on Sansar started in earnest, he pro-actively campaigned within the Lab for the role he has now, with responsibility for managing all of the engineering side of the platform. He classifies the attraction to working with Second Life as perhaps falling into three core areas: through the open-source nature of the viewer, he is directly involved with how SL users are using the viewer and what they do with it – which can often times take the Lab entirely by surprise; through the fact that the Second Life offers the challenge of trying to implement new technologies alongside of (rather than simply replacing) older technologies; and working with the operations team and others to ensure SL constantly evolves without (as far as is possible) breaking anything – a process he refers to and rebuilding the railway from a moving train. Grumpity Linden is the Director of Product for Second Life, enjoying what she and Oz jokingly refer to as a “symbiotic relationship”. She actually started at Linden Lab in 2009 as a contractor working for The Product Engine, a company providing end-to-end consulting and software development services, and which support the SL viewer development. She became a “full-time Linden” almost three years ago. As Director of Product she manages the product team, which oversees a wide range of SL-related activities alongside of Oz’s team. This can involve coordinating the various teams involved in bringing features and updates to Second Life (e.g. coordinating the engineering teams and the QA teams, liaising with legal, financial and compliance to ensure features and capabilities meet any specific requirements in those areas, etc.). This work can also involve looking at specifics within various elements of the overall SL product, such as UI design and layout, etc. Grumpity has a background in psychology and computer science, but has worked in the oil and gas industry. On moving to the San Francisco area, she crossed over into working within the tech industry, eventually settling at Linden Lab as a contractor, working on the Viewer 2.0 project. She enjoyed working at the Lab so much, she resisted all attempts by her employers to move her elsewhere, finally joining the Lab full-time in 2015. 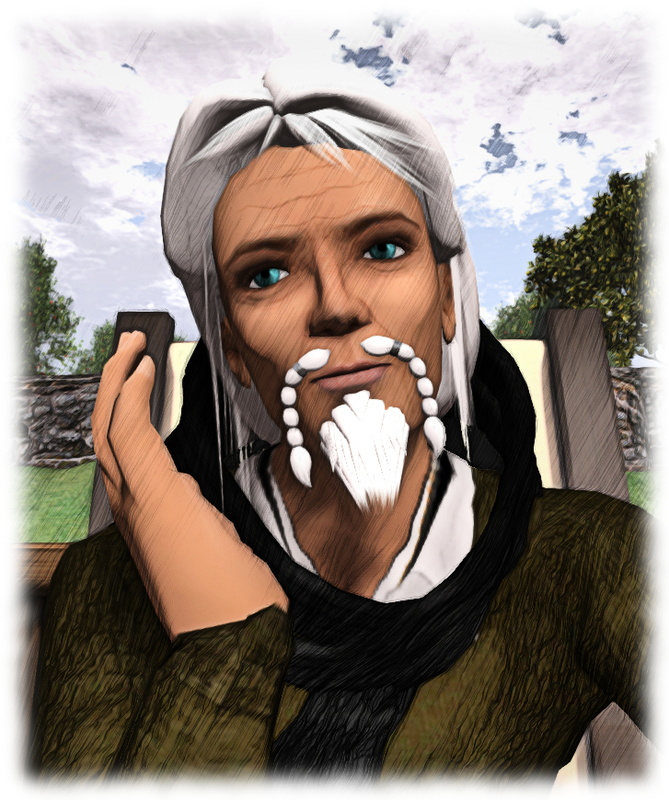 Like Oz, Grumpity is passionately committed to seeing Second Life continue. How much control and input do you have over the direction of second life? Grumpity: I will let Oz speak more to that, but Bento was conceived and reared and launched all through the efforts of Oz’s team and of Engineering. Certainly, Product took a part in defining that, but this is a great an example of one of the long-time Lindens [Vir Linden] suggesting this as a possibility and then this feature getting worked on. There was a tonne of time spent defining that work with residents, which I’m also very proud of, I think we absolutely took the right path there, but as to the development of that project – Oz, do you want to speak to it? Oz: Just to comment to that one point about Bento. The general direction of the project we started out with changed very significantly, once we got residence involved. The essential concept of extending the avatar skeleton and adding capabilities, that was the concept we began with, [but] the specific additions we made to the skeleton changed very dramatically after we got resident designers involved. We were planning on doing a quite simplified hand, for example, and the designers came back to us and said, “look, we really need every joint in every finger”, and ultimately they convinced us that was the right thing to do, and in retrospect, it’s obviously worked out really well. The broad question of who or how we set that direction; it’s one of the things that’s really great about working at the Lab … We have an incredibly collaborative process. Pretty much everyone involved, up to and including the residents – emphatically including the residents, I should say – is empowered to put forward ideas. And so our job isn’t so much thinking up what’s going to happen to Second Life, as it is from just picking from among a myriad of possibilities. We could have a staff of 500, and we wouldn’t have enough to do all of the really cool things that we might in theory be able to do. So it’s picking and choosing, and we try to shift who we’re making happy at any given time, so we’re spreading it around a little bit … My job is to think about what the technology impact of anything is going to be, how difficult it’s going to be to do, and how long it’s going to take to do it; although even more so that most engineering groups, I think we’re really challenged in figuring out how long it’s going to take for things to happen. But yeah, between us, we have a lot to say about it. 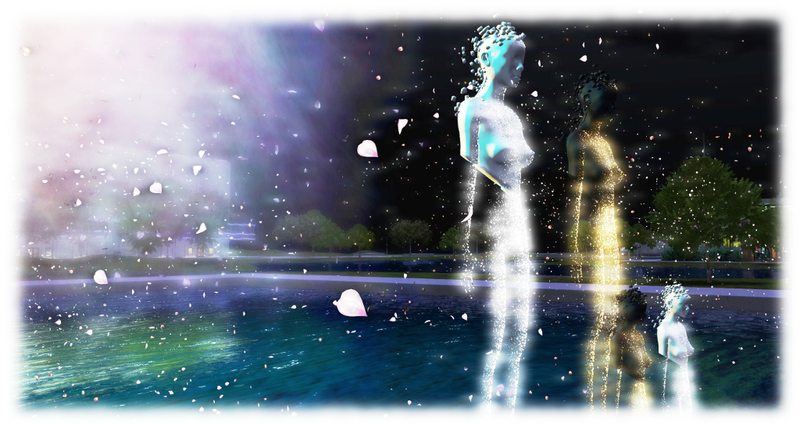 There are aspects of the way that Second Life evolves that are not really our space. For example, we’re not heavily involved in Governance issues; we’re not heavily involved in thinking how much things may cost. That’s mostly other people. But how it works and what it can do – that’s what we spend our time on! Grumpity: And to mention, we’re not necessarily heavily involved in compliance issues … but we do spend a lot of time trying to figure out how to minimise the impact of compliance while actually adhering to the needs. As inventory in the viewer is just pointers to assets on the Lab’s servers, could Linden Lab provide a means for redelivering lost inventory items? Oz: We have recently put out some changes that are intended to reduce some of the ways we think people were unintentionally deleting things, and we’ve fixed some bugs that may have been responsible for things going astray that shouldn’t [updates reviewed here & now in the release viewer] … She’s right, your inventory is a set of pointers to assets; we have the assets, we don’t have a record of what those pointers were. The pointers are ephemeral; they change dynamically, and we don’t today have a journal of what all the changes were that went through. That’s an area of concern; unfortunately, solving that problem very likely falls into that project that would take at least two years category that I talked about before, that’s difficult to tackle on the whole. So we’re trying to find aspects of it that we can attack and improve … So we’re trying to find ways to do incremental steps that make inventory more and more robust. If I were to go to Grumpity and say, “this is what it would take to completely solve the inventory problem,” she would end-up saying we can’t commit that large a fraction of our resources for that long to that problem. So we have to find ways to break it down into small pieces, and that’s what we’re doing. Unfortunately, that means we can’t say all the inventory problems will be solved by the middle of next week or even next year, necessarily. Grumpity: We spent a lot of time investigating this recent uptick in reports of inventory going to Trash accidentally and getting deleted, and we’ve put in a bunch of viewer-side changes to prevent that, and Firestorm has merged those in. so please make sure your viewer is updated. The new Firestorm release [reviewed here] has all of them, and even some that we haven’t released but are in the latest Maintenance RC viewer [version 5.0.7.327250 at the time of writing this transcript]. I would also like to use this platform to say that we absolutely need viewer logs from the session where the deletion or the disappearance of inventory happened, to continue to diagnose this problem. So if you’re in a position to provide those logs from the session where the inventory loss happened, please, please do. There are multiple JIRA already open – file a new one, reply on the forum, we’ll see all of them, and I will be thrilled to take up the cause and find out what has been going on. Oz: That’s a point worth emphasising. We don’t keep all the logs for a long time; we couldn’t, they’re just too big. Id you report that three weeks ago, you lost 100,000 things, there is no hope whatsoever that we’re going to learn anything from that report. Those those logs are long gone; we cannot tell what you did or what happened to what you lost. If you report it the day that you lose something, and we see that report – and we’re watching those reports, we have people who watch those reports all the time – and you attach a viewer log, and there’s a page on the wiki about how to find the logs. And you tell us “I was in this region, at this time, and the following stuff disappeared”, or even: “I was in this region at this time, and I knew that I had it then, but two hours later I noticed that it was all gone.” That gives a window where there’s some hope of us finding information about it. And we can use that information to figure out what happened. We often will not be able to recover your lost items; occasionally it happens, but unfortunately it’s not the normal. But it would be an enormous help to us to get reports that have that kind of information on them promptly, so we can dig out and try to learn what happened and what went wrong, and then those cases at least, we can fix. Grumpity: So, for the record. In all of the reported cases where we were able to get logs from the server-side for this inventory loss and actually find the log records for when the deletions happened; from our end it looks like it was a regular case of the user deleting inventory. So in order to figure out what’s going on, we absolutely need viewer logs so that we know what the viewer was doing and why those messages were sent to delete inventory, if you did not intentionally do it. … Again, I’m going to use this soapbox to say we triage incoming bugs pretty much every [working] day, sometimes we skip a day when there are other things that get in the way. We triage incoming feature requests on a regular basis as well, not quite as frequently, and we pay attention to what’s going on. It is our hand on the pulse, and it is also your best bet for getting bugs addressed. If you write about a bug on the forum, maybe somebody else will file it, but may not, and maybe it will never get to us. If you are sure it’s a but – write a JIRA, and then we’ll see it. Landon Linden joined Linden Lab in August 2008, and is currently VP of Operations and Platform Engineering, based in the Lab’s Virginia offices. He has led the transition of live operations and the production platform to support the company’s new products. With a BSc in chemistry. he worked as a research chemist before moving into the IT sector. Since then, he has worked in telecommunications, launching numerous products. For SL users, he’s possibly most recognised as the man responsible for re-opening the technology blogs the Lab publishes after major issues / outages occur. These had dried up after FJ Linden departed the Lab in 2011, and Landon revived them in 2014. April Linden has since taken over core responsibility for these posts since then. Landon loves building large-scale systems, and says his passion for virtual worlds is fuelled by his interests in sociology and economics. As he notes, the nature of the work his teams undertake – running the services, architecting them, improving them, migrating them where appropriate, etc., – is such that most of it goes sight unseen by users, unless there is a problem. the initial part of the discussion looks at Landon’s background, his interest in sociology and economics – he notes that by working with the Linden Dollar and the Lab’s transactional services he’s learned a lot about economics – and touches on the Lab’s own studies with users. In this latter point, Landon makes it clear that the Lab does not conduct direct social experiments on users, but obvious does monitor the use of services and capabilities such as the user on-boarding process, games like PaleoQuest, etc., to see how they are being used, where points of weakness lie which might be improved, what kind of metrics are being generated, and so on. In terms of general SL trends, he makes the point of noting that – and contrary to claims otherwise – the Lab has seen a “considerable strengthening” of the Second Life economy over the last six months, probably sponsored in part by the arrival of Bento, which the Lab is obviously pleased to see. This moves into a broader chat about the evolution of things like mesh and breedables, and how that helped grow Second Life, the way in which the Lab cannot always anticipate how new features will be used – but do try adapt to how users take them on and start using them. One of Landon’s responsibilities has been to oversee and drive the evolution and enhancement of these supporting services and the infrastructure which supports them and Second Life. Most recently, this has included moving various services in to Amazon cloud. The Lab has been a long-time user of Amazon services, and this current work not only involves moving services to Amazon, but also moving them to a container model, making them easier to test and deploy, whilst leveraging the flexibility offered by cloud-based services. These include reducing the complexity of having to manage a dedicated data centre environment to run the services, the complexities of having to manage capacity, plan ahead for growth and the purchase, delivery, installation and testing of new hardware, etc., in order to meet specific demands (as the cloud provider can “simply” turn on additional servers and facilities as they are required, and add them to the current billing. Right now, the intention is not to reduce costs per se in making the move – Landon rather describes the Lab and trying to break even – but is rather geared to leveraging AWS (and ECS?) and thus doing more, infrastructure-wise with the money the Lab has coming in. While he is based in Virginia, Landon spends a good deal of time at the Lab’s head office in San Francisco, and notes that while the Lab operates a number of office – Virginia, Boston, Seattle, San Francisco – a lot of people actually work from home, and the Lab has a relaxed approach to office-based work requirements – if it is possible to work from home and be more productive in doing so, there is no problem with doing this. From his personal perspective, Landon views the Lab as the best place he has ever worked, describing his colleagues as “an amazing group of intelligent, passionate people”. Like others at the Lab have said, it is also a place where he tends to learn something every day, whether about technology, how SL is being used by the residents or about people. This topic touches on the Lab’s history, going back to the late 1990s and attempts to build a VR / haptics system (aka “The Rig“). What is being done to improve platform stability and performance? … This is going to come dangerously close to sounding like I’m blaming the residents for some of this stuff – and I’m not. But I think … it’s a very creative and expressive place, Second Life, and we really like people to be able to express themselves in whatever way possible – and within the confines of the law, at least! But that also means that the complexity of whatever it is that you’re doing, whether it’s in your region or in your parcel or on your avatar, can impact the people around you. And so we’re trying to strike this balance of how can you express yourself without negatively impacting the people around you. And I think [Jelly Dolls] were a pretty good solution. And it also had the added benefit of feedback to the users, “Hey! Your avatar looks great, but maybe you should tone it down a bit. Why can we have an unlimited inventory but only 60 groups? Landon: Inventory is relatively cheap, you’re talking about a very small amount of storage when you have something sitting in inventory, and probably more importantly in the context of this question is the inventory doesn’t necessarily have to interact with other pieces of inventory. So you can pretty much just add anything in your inventory without bound, and UI problems notwithstanding, it doesn’t really have any negative impact on your experience and it certainly doesn’t impact anyone else. When you’re talking about groups, you have this exponential impact on performance with the number of people who you’re adding into the group [particularly all the Group data which needs to follow you around SL so you can receive group notices, remain part of a group chat, etc.] … I think that’s the kind-of short and long of it. [Groups] have an impact on you and the people around you. What is the number one cause of lag, and will improved server hardware improve SL? Landon: We’re always beefing up the hardware we’re using, and I can tell you the hardware is not a big factor at all in terms of lag. And this is going to be a really unsatisfying answer, but I can tell you that in my experience the single greatest contributor to lag is the network between you and wherever the server is. So if you are physically far away from the server, you’re going to have a much more laggy experience. Most of our equipment – I dare say all of our equipment is in North America, and the west coast of North America at that. So if you’re in South America, you’re going to have more lag than some that’s sitting in Seattle, Washington. Likewise people who are in Europe and Africa are going to have a more laggy experience than people in North America. … This is where I’m really going to get into trouble, because I don’t want to come out here and make a bunch of promises, because the things that I’m talking about are going to take probably years to do. But one of the things I absolutely have in the back of my mind is that once we get Second Life fully functioning on cloud services there is the possibility – and I will stress “possibility” – but there is the possibility we can co-locate regions more easily in other parts of the world, in south America or in Europe or in East Asia or Australia. And that would make the experiences for the people who are in those regions a lot better. The flip side to that is, if I’m moving the simulation closer to you and further away from somebody else, you’re making the lag worse for someone else. … We did some analysis several years ago, regarding this. And what we saw was not a lot of geographic affinity for regions. One of the amazing things about Second Life is that people from all over the world come together and talk and get to know one another and chat and experience Second life together, and there’s not a lot of geographic affinity. There are a few notable exceptions to that, and I think language is one of those things; I think one of the exceptions is people who speak Portuguese, and then tend to almost exclusively come from Brazil. So we can say that if you have a region that caters to, or is attracted to Portuguese speakers, we would probably want to co-locate that region in Brazil. This is just really stuff that we’re thinking about, there’s no hard plan to do any of this; I think we’ve got a lot of work to do before we can even considering doing something like that, but I’ve absolutely got that in the back of my mind. Would LL ever consider adding any of the reliable language translation tools back into the viewer? Landon: For what it’s worth, I’ve actually looked into some of that. I mean … there’s just some amazing tools that are becoming available now using AI machine learning, and I’m really interested in doing some things along those lines. That said, no promises, no commitments; I don’t control the product direction, so I’m looking at it just out of more-or-less professional curiosity and not something I’m actually planning on implementing. But I think, to try to answer your question as best I can, I think it’s getting easier and easier to put translation and text-to-speech and speech-to-text services into your products, and I would hope that we get back to doing some of that – but no promises and no commitments, and I don’t control it anyway … I don’t make that call. Art in all its forms has always tended to be a part of the SL14B Community Celebration, and this year is no exception. In fact, art is well represented, with the familiar four art parcels around the Cake Stage, and further art parcels within each of the exhibition regions, all of which are in addition to the individual art displays to be found among the exhibitor spaces. In the run-up to the SL14B gates opening, I was able to visit many of the art displays and installations on offer, and while this is not intended to be an extensive list / set of reviews, I thought I’d highlight those I particularly enjoyed visiting. Location: SL14B Spectacular art parcel. You’ll need a little viewer set-up to appreciate this piece, but the effort is more than worthwhile, as the installation is a grand demonstration of projected lights and images. In short, set your time of day to midnight and make sure Advanced Lighting Model (ALM) is active via Preferences > Graphics. If the latter gives you performance issues, try ramping down your draw distance (note you do *not* need to have Shadows enabled as well; but ALM is required to see the effects – without it, you’ll just see blank walls). Before you step through one of the four Anywhere doors ranged before you at the landing point, make sure you cam up and catch the play of projected lights on the structure. Then when you’re ready, pick an Anywhere door, click it to open it, and click on the exposed wall to teleport up into the structure. The doors deliver you to the various levels, where you can enjoy the marvel of projected images set within individual “rooms”, each group of images offering glimpses of a setting / story. A clever and vibrant use of projected lights and images, wrapped around an imaginative means of presenting art. Location: SL14B Captivate art parcel. Full disclosure time: I think Thoth is one of the most engaging and imaginative multi-media artists in Second Life; as such, his installations tend to be a must-see, although some caution my be warranted with this one if you can be adversely affected by flashing images and lights. There is a certain amount of set-up to be done to properly appreciate Mediamagic! Information boards provide the full details, but the essentials are: set your time of day to Midnight, make sure you have Advance Lighting Model enabled (Preferences > Graphics), set media to autoplay, and allow scripts to play media. An information kiosk will also provide you with the information needed to enjoy the installation as well as some gifts from Thoth. Once you are set, explore, enjoy the use of light and sound, and do make sure yo visit the upper levels (steps and then TP). If you can, be sure to cam / flycam out from within the build to fully appreciate the play of lights. Another piece best seen at Midnight and with ALM enabled, this is a beautiful piece in both its execution and its simplicity. Description isn’t necessary – just enjoy. Location: SL14B Beguile art parcel. While not the easiest environment to navigate at times (blame that on the people teleporting in and out of these busy regions more than anything else), the Dirty Grind’s homage to art – visual and musical – might seem self-centred, but as a community it cannot be denied they’ve done a heck of a lot to promote arts over the years. As such, this retrospective, carrying with it a reminder that SL is unique among all forms of artistic presence / expression, simply because it can instantly and immersively bring people from all over the world together to enjoy a moment of that expression. Within the gallery, Boudicca offers her take on the ideals of carivalesque – the literary style that uses humour and chaos to subvert the more dominant style or approach of a piece – through a series of trompe l’oeil art displays. This approach to SL art is perhaps most famously exemplified in the works of Molly Bloom (whom I’ve covered extensively in the blog, and offer this link as a reminder of her work). It’s not necessarily an easy art form to bring together in Second Life, but Bou does so with grace and panache. What’s more, she offers a studio within the gallery where you can have a go yourself ! I had fun (with a quick bit of post-processing) in duplicating myself with two of the displays available to visitors, rather than going for a single 3D look to an image 🙂 . On the subject of the trompe l’oeil style of art, Ginger Lorakeet has been a part of the SLB scene for as long as I can remember. She’s back this year, once again offering her interactive art pieces – some of which have been seen at past events, others of which are new. I always like to mention Ginger’s work at SLB events as her art is fun and interactive. Simply find a picture you like, click it, and add yourself to it. With a little camera jiggling, you can grab a photo of yourself in a photo / picture. In addition, this year Ginger offers visitors the chance to fully immerse themselves in a scene. These are far from the only art exhibits to be found at SL14B, and as much as I’d like, I don’t have the room to go through them all. I would, however, just like to mention in passing Kody Meyers, Anibrm Jung, Catalina Staheli, John Brianna and Graham Collinson, all of whose work I appreciate, and all of whom are also exhibiting at SL14B. Be sure the check-out the SL14B Art Parcel SLurls and the complete list of exhibitors to make sure you catch everyone. Alongside all of the resident-led events and activities planned to mark SL’s 14th anniversary, one set of events are liable to draw considerable interest from Second Life Users: the round of Meet the Linden sessions hosted at the SL14B Auditorium. As with recent SLB events, Meet the Lindens will comprise one session a day, from Monday, June 19th through Thursday, June 22nd, and offer Second Life users the opportunity to hear from – and likely ask questions of – Linden Lab staff. This year all of the Meet the Linden sessions will take place between 14:00 and 15:00 SLT, with the schedule lining up as follows. Again, all these sessions will take place at the SL14B Auditorium.